There is something to be said about being outside and enjoying the fresh are with your family. Sitting under a pergola with your feet kicked back or in front of the fire while the children are playing and the grill is cooking away. Memories like these is what EOL brings to every home. Customer satisfaction is our highest priority. 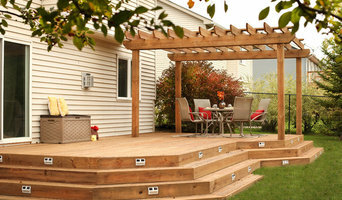 Exceptional Outdoor Living is here to turn your home into a place of relaxation and convenience. We will sit down and find out what your needs and desires are to map out what we can create together. It is our companies goal to make your outdoor or interior living space exceptional. Custom built to fit your specific spaces and desires. Bringing our customers that extra space you have always been dreaming about while increasing the value of your home. 2018 Minnesota Nursery and Landscape Association Award for Cottage Blues featuring stucco walls and fireplace, bluestone walkways and pathways, and beautiful plantings and furniture. 2017 Judges Choice Award by the Minnesota Nursery and Landscape Association for a Orono, Minnesota project featuring hand-hammered gas fire-pit, grilling station, copper waterfall, and colorful plantings. Stonepocket is an award winning full-service landscape design firm in the Minneapolis, Saint Paul, and the Twin Cities area. We collaborate with our clients to provide imaginative solutions and creative landscapes that enhance your lifestyle and property. Stonepocket is dedicated to the art and the craft of our profession and truly believe each project is an work of art. Our motto "IT'S AN ART" carries through every aspect of the landscape. We consider it an honor and a privilege to do the work we do — and we do it well. We are dedicated to doing sustainable work, and living sustainable lives. It is great joy to work with a wide array of talented local artists. Our greatest achievement is creating a meaningful, beautiful, well crafted and sustainable landscape legacy. What's your DreamScape? Everybody has a DreamScape. You open the door, look at your existing lawn, garden, or patio, and envision what could be. At DreamScapes, our mission is to craft your unique vision into a beautiful reality. We make your outdoor living space reflect you- your personality, your ideals, your vision of beauty and contentment. Aesthetics and function. Quality and cost-effectiveness. It can be more than a dream! DreamScapes opened for business in 1988 with our standards set high. We began providing premium landscaping services with dedicated attention to detail on every site. Pride in workmanship and honesty in business is at the core of our company ethic, and our 98% customer retention rate is a true testament to the quality of service and customer care that is the cornerstone of our business philosophy. In addition to the finest year-round landscape design and installation services, DreamScapes has a full landscape maintenance division, which includes complete lawn care and snow management. We use new and innovative equipment and employ an elite staff of landscape professionals to create some of the finest landscapes in the Twin Cities area. 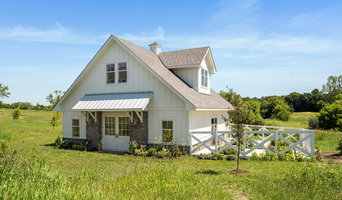 To serve a growing number of satisfied clients, owner Alex Shuda has expanded the family-run business that began 20 years ago to include a team of professional craftsmen, landscape horticulturists and award-winning designers. We look forward to proving our commitment to quality and service and surpassing your highest expectations. Stonewood Hardscapes and design LLC is a Twin Cities based design and build firm that takes pride in creating quality projects and relationships with our clients. We have an experienced and driven team that continually builds amazing outdoor living areas and fixes landscape and construction related issues for our clients. We serve our residential and commercial clients all year round. Watercourse Design is committed to creating beautiful and sustainable landscapes that foster strong connections between people, architecture and the natural environment for the benefit of all. Our experienced construction team will provide quality craftsmanship and solid project management that will make building your next project a fun and enjoyable experience. 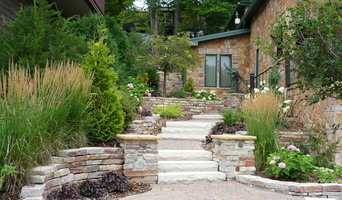 Landscape Contractor We are a design/build company since 1976. 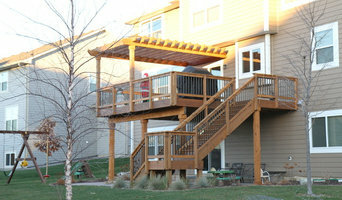 We offer custom, quality outdoor living spaces and features. Our mission, goal and expectation is to provide you with outstanding craftsmanship, superior service and your one stop stop for all of your fireplace needs. From the design process, to framing, electrical, installation of the fireplace, and stone installation give us a call today so we can help you with your new fireplace project!